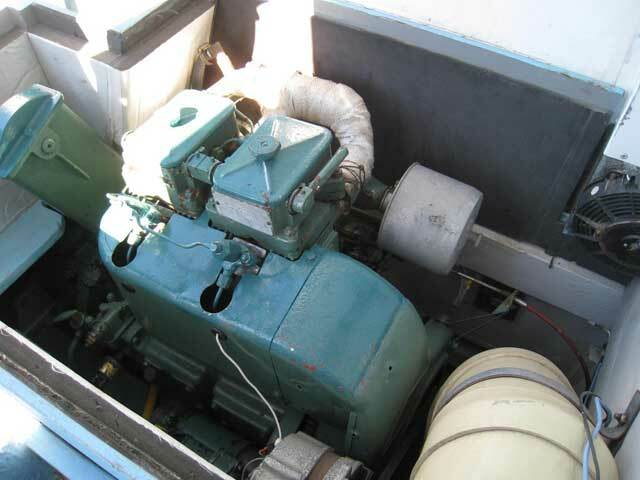 Bulkhead wheel cable steering from cockpit, Raymarine tiller pilot. 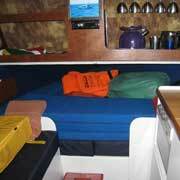 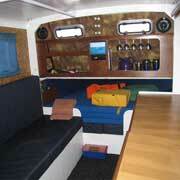 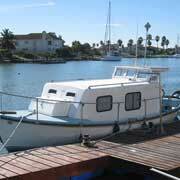 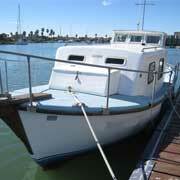 VHF, Garmin GPS chart plotter, Garmin fish finder, bulkhead compass, 2 solar panels with Seca regulators, music system. 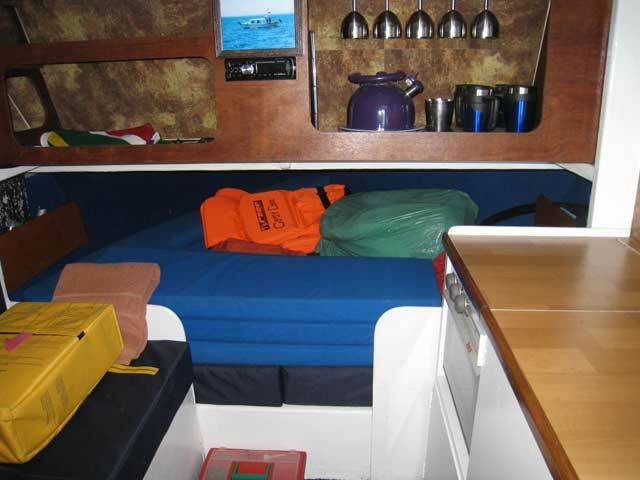 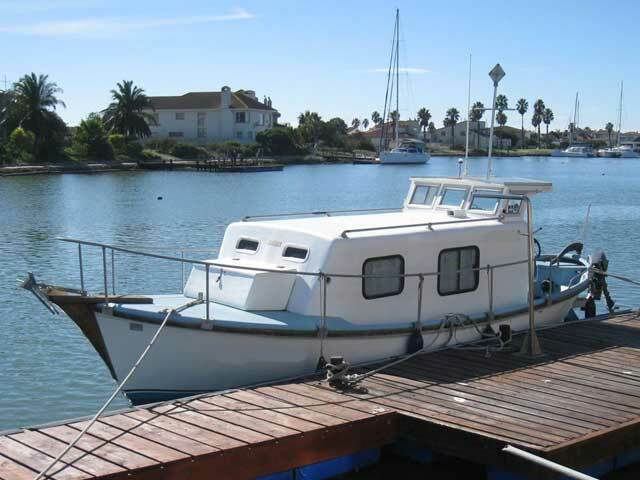 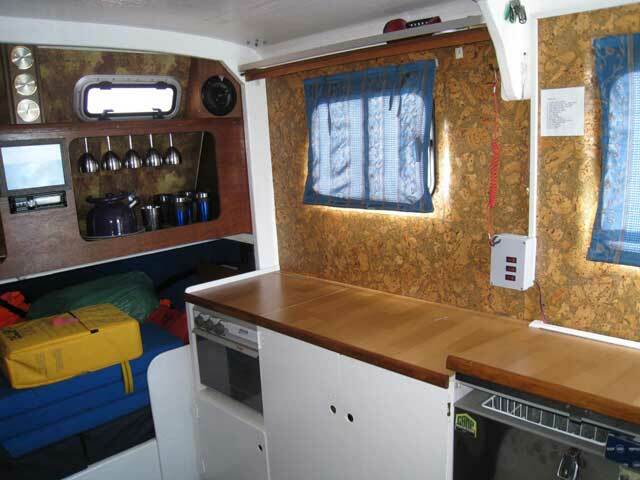 Total berths: 3 - 1 double and 1 single bunk (which can be provided), heads, material upholstery, carpet on GRP flooring, comfortable interior for weekend stay aboard, fridge/freezer and cooker with seating and bunk. 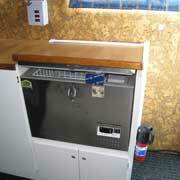 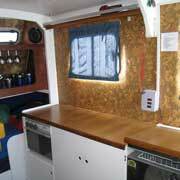 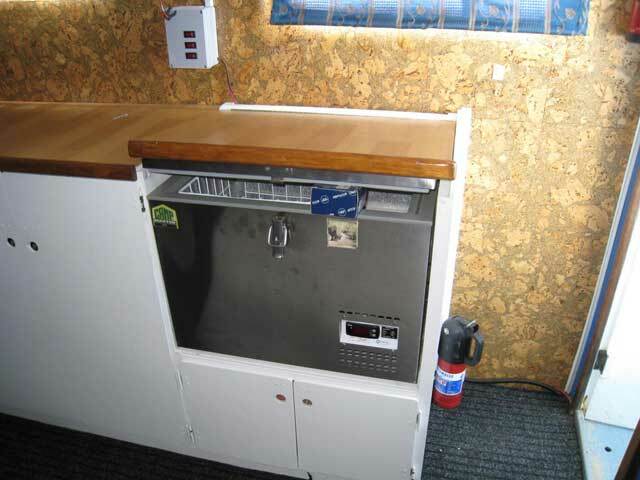 2-Burner cooker with oven, stainless steel fridge/freezer, gas bottle. 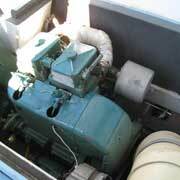 3 Bilge pumps - 1 manual and 2 electric. 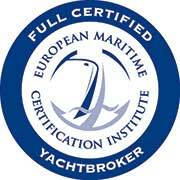 Anchor, chain and warp, 4 life jackets, life ring, danbuoy, 2 fire extinguishers, first-aid-kit, category C safety certificate. 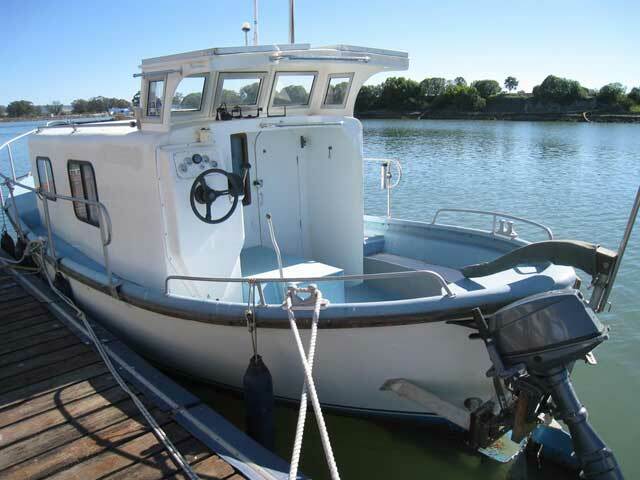 15hp Yamaha outboard motor on bracket as an emergency back-up motor, cockpit cushions, fenders and mooring lines. 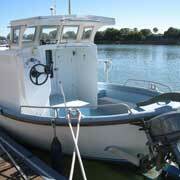 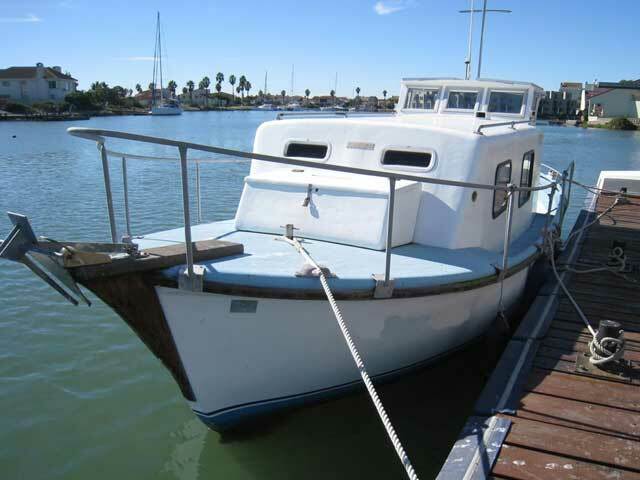 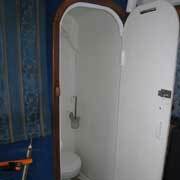 Neat and well-maintained converted life boat. 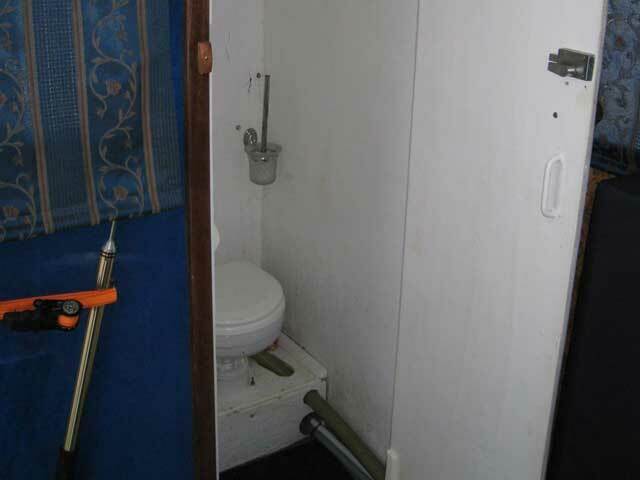 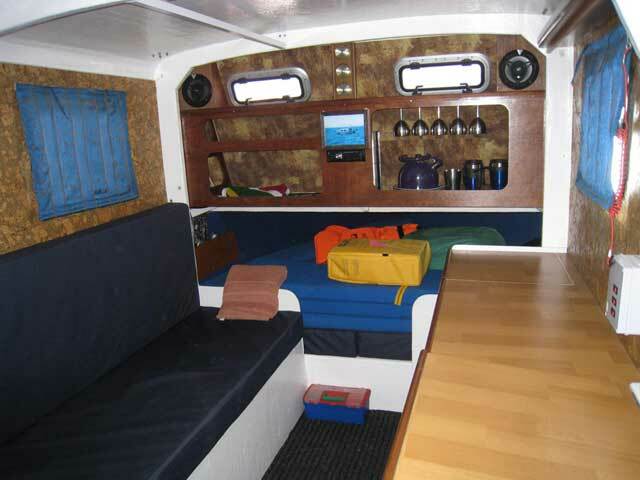 Accommodation with a galley and seating area as well as a large cockpit with cushions.